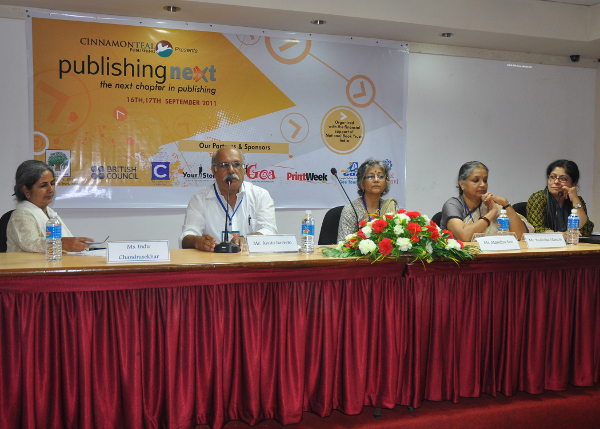 After postponing it many times for various reasons, we decided to have a panel discussion on the topic of self publishing, during the fourth edition of Publishing Next, held during the recently concluded World Book Fair. The panel discussed why we might see more people sign up for self publishing in the coming years, and how these authors might come to expect more from this option. Many traditional publishers have either set up or are contemplating a self-publishing arm, a phenomenon that was widely attributed to the fact that these publishing houses do not want to miss out on what is a growing trend, maybe even to identify new authors for their traditional publishing programme. Like one speaker pointed out, traditional publishers have only one thing going for them – their control of existing distribution mechanisms. That too is a fast waning advantage, especially with so many distribution options being available online. If the Internet does indeed become the leveller it promises to be, will traditional publishers still survive? And what is to be said of companies that provide self-publishing services? Will they still be relevant? Although the quality of self-published books was discussed only peripherally during the panel discussion, it is rather obvious that self-publishing will be taken seriously only if books of good quality are published via that option. At some point in the near future, the discussion will be about good books versus bad, not about traditional publishing versus self publishing as is the case today. What makes a well-written book a still better book are perhaps the editor’s inputs and suggestions. They not only help correct the obvious grammatical and spelling mistakes but also can help tighten the narrative, fill in missing blanks and even tailor a book for its intended audience. More than distribution, it is these editorial inputs that are, perhaps, the greatest contribution a traditional publishing house makes to any book. A self-publishing author should therefore take all the editorial help she can get in her goal to improve the book. At CinnamonTeal Publishing, we encounter a lot of resistance from the author when it is suggested to her that she should have her book edited. Understandably so, especially when an author has spent a lot of time on the manuscript, writing it first, then perhaps re-writing many drafts. However, it helps to have another pair of eyes look at the manuscript. Such a trained pair of eyes will immediately spot the errors that are easy to miss, identify inconsistencies in the narrative and recognize if the author has been rambling on for too long. A good editor will look at the manuscript objectively and will be solely concerned with improving the book. The author should take the editor’s suggestions in the right spirit especially since it is her book that is being improved. Self-publishing does not mean that the author has to do everything alone, rather it means that the author has to do everything in her power to develop a good book, especially if it can be developed by employing the best resources available to her. For that reason, I am not convinced that accessible platforms like KDP will necessarily lead to good books being published on such platforms. In fact it might tempt the author to impulsively publish an unedited manuscript with an amateurish cover. Such impulse cannot be good for the book, or even for other self-published authors, despite the predictions of an incredible explosion in self publishing. There are many options available that allow an author to crowdfund and crowdsource a book. These options are easily accessible and could benefit an author immensely. Self-publishing can indeed be a good thing, if properly executed and by putting the best available resources to use. Its benefits are many, especially when combined with print-on-demand. The author simply needs to ensure that everything she does is in the interest of developing a good book. One that is written well, free of errors, laid out nicely and has a beautifully designed cover. PN: Some of your works are about the atrocities and problems that women face in India like the collection of Essays in Kannada and English on Gender, Language, Literature and Culture- “MahiLa Vishaya”. What inspired you to write about the women in India? MS: While writing, each one of us needs to be sensitive to issues associated to women like the way we would be sensitive towards various marginalized groups and communities. It doesn’t matter whether you are a male or a female writer. Because, writing about women, is also a critique of the male world loaded with class, caste and gendered hierarchies in the society around us. Women issues are always understood as something to be dealt by women, for women. As writers, while women write about this, all other things addressed by them remain unseen and there is a tendency to look at and categorize their writings as ‘women writing’ that remains away from the main stream. Well, after all this, I am a woman and how can I not write about issues related to women in the social spaces I live in? I think all these answer the second question asked to me about what inspired me to write about women in India. ‘MahiLa Vishaya’ is a compilation of selected articles I wrote on many things around gender, language, literature and culture, as all these are interwoven and cannot be addressed in isolation. PN: You conducted poetry workshops for two schools in Durban and a theatre workshop for young girls from the economically backward communities in Hyderabad, was it easy to get the required crowd, especially the girls in Hyderabad? Could you share with us these experiences? MS: The workshops for schools in Durban was during my participation in ‘Poetry Africa 2005’, International Poetry Fest. 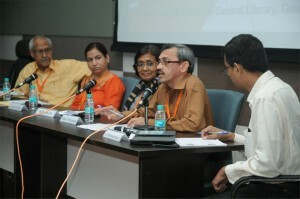 Both workshops were organized by the festival organizers. These were for the young adults, high schools students from the 10th, 11th and 12th grades. The workshop had group activities, singing, reciting and performance. The participants composed poems in the workshop. They came out with collaborative poems written in a group, poems written individually and some recited the poems they had written sometime ago. It was fun. there were many love poems, poems focusing on social issues, some very personal and thus they touched upon various aspects of life. The whole workshop is filmed by Poetry Africa. Zulu and Khosa languages were given more importance and the participants enjoyed speaking and composing in these languages and mixing them with English during the workshop. It was fun and I thoroughly enjoyed it along with the participants. The theatre workshop with the girls in Hyderabad was different. This was for an NGO that is engaged with issues of women and girls in the Old City (the Charminar area). The NGO had organized the group. Participants were girls between 15-25 age group and were from socio-economically backward groups. Most of them were children of domestic maids, zardozi workers or those who had petty business in the old city. They would come to this NGO for learning tailoring and other skills. The workshop came up with “Purdah”, a play script in Urdu/Daccani derived from the personal stories and anecdotes collected from the participants. It was not easy to put things together. This play was staged at ‘AKKA’ National Theatre Festival for Women, Rangayana, Mysore, 2001. PN: At the Fifth Anniversary of the World Poetry Gala Celebrations (February 2006), your poems in Kannada original along with their translations in English were displayed at the Vancouver Public Library and then at The Africa World Press at the World Social Forum, Nairobi, Kenya 20-25, Jan 2007. How did it feel to have your poems displayed at such major events and what do you think it means for Kannada (or Indian) literature? MS: It is a great feeling when my poems are showcased and I am invited for the major events of international importance. The events like these and the International poetry festivals give a greater exposure to other worlds of poetry hidden and unknown. Poetry is a genre that leaps beyond the literary confinements. Poetry happens for many reasons and no reason at all. Here ‘no reason’ too is a reason for me to engage with it. My participation, I am sure is very special for Kannada (or Indian) literature. It means a lot to me when I am invited to represent my country/language. Meeting poets from an unknown language culture is very interesting. It is a special experience reading/performing in Kannada. I sometimes mix my Kannada poem with its translation in Cebuano or Spanish or Vietnamese and perform it with the poet/translator. I enjoy listening to the sounds and musicality of the languages hidden in poetry. Rationale for a poem like love or war, resistance or incorporation, simply the music, rendering by the poets, their body gestures, voice modulations, everything interests me. I am curious to know more. That which happens through a poem on a page is so very different from what it gives through a performance. I want to bring all this into Kannada. I am curating a poetry event, ‘Kaavya Sanje’ once a month in Bangalore. This, ‘An Evening of Poetry’ is an activity involving mainly students and the general public. Here, participants are invited to read self composed poem and/or poetry by poets from Kannada, other Indian languages and non-Indian languages. It is an attempt to look into the multifacetedness of poetry, link it with young poets and the public and make poetry reachable and more popular. I have translated many poets from different parts of the world into Kannada and many poems from Kannada into English. My poems are translated into many International languages and some Indian languages. Apart from writing poetry, translating in and out of Kannada is something that I truly enjoy. Poetry for me is an activity to bring people together, understand, interact and share those that remain unsaid between the lines. My participation in the International poetry Fests has brought a few internationally important poets to India. Amadou Lamin Saal from Senegal, Lemn Sissay from Britain, Antoine Cassar from Malta, Brane Mozetic, Susan Tratnik, Andrej Blatanik and Veronika Dintinjana from Slovenia have visited India and read in Bangalore, Hyderabad and other cities with the poets from the local languages. My writing has been influenced and molded by my responses to the Kannada/Indian socio-cultural and political situations. The women’s movements, literary movements, a huge treasure of the classical literatures available to us in the languages and in translations have all shaped my writings. Many private and the state owned literary institutions and organisations that promote and publish poetry have recognised my writings by including them in the anthologies, magazines and the poet’s meets organised by them. My activities around poetry is so minimal compared to what I gain through my engagement with it. A collection of my selected poems ‘HIDE and SEEK’ will be published shortly. This set of poems in English translation will have the Kannada source text along side. I am eagerly waiting for this book to come out. PN: Could you tell us about your thesis “Gender, Patriarchy and Resistance: Contemporary Women’s Poetry in Kannada and Hindi (1980-2000)”. Why did you chose to work on this paper? MS: 1980’s to 2000 is a crucial juncture in the Indian socio-cultural context. Women’s movements, the Dalit movement, movements of the marginalised, the identity politics, the post colonial positions, all these were bringing drastic change in the expression, perception and analyses of the literature we come across. Each category was forced to address questions around gender and resisting patriarchy because not answering the gender questions would leave the issues pertaining to class or caste incomplete. Women’s poetry is an area that opens up debates related to literature and women’s point of view in a patriarchal society. Therefore women’s writing is not only a part of literature but also an area that discloses nuances of the experience of specific community in a given society. This community which is always misunderstood as monolithic, showed up its multidimensional phase during this period. The documentation of personal experiences in women’s poetry extends to the public spheres and address issues in general and those related to women in particular. Activism on the other hand contributed to the strengthening of women’s poetry. Literary and social censorships were taking place due to religious, regional and linguistic fundamentalisms. The Indian politics experienced ideologies and political stances that were less liberal and non-democratic. Women poets responded to all these. They never restricted themselves to women’s causes alone, proving that women do not have a special ‘women’s sensibility’, restricted to domesticity and sexuality alone. Instead, women’s sensibilities are not very different from that of men’s. This period opened gates to the new themes in literature and allowed the visibility of ‘the regional’ on the International canvas. More than anything, I choose to work on this because it allowed me to engage with the gender questions which I consider as something very important and then poetry which I am passionate about. Sakshi Jain is an Asst. Editor at the Digital Media Dept. in Dorling Kindersley, part of the newly merged Penguin Random House. She is into publishing eBooks in various formats; developing Apps and producing digital content for websites. Working for more than three years at this place, she happily affirms there’s never been a dull day. She’s been working on all sorts of reference guides and especially travel-guides. She will be a speaker at Publishing Next ’13, which will be held on the 20th and 21st of September, 2013. Before the conference we (PN) however got her (SJ) to share her thoughts. PN: Could you tell us about your experience as the Asst. Editor or Techno Editor as you are fondly called at the Digital Media Dept. in Dorling Kindersley, part of the newly merged Penguin Random House? SJ: Here at DMD there is more to being an Editor (or Techno Editor) than the conventional role of correcting language and structure of the text. That of course is a part of the job but we are expected to be more technically inclined, comfortable with using and experimenting new software and technical language (XML, HTML etc). We prepare a single title to be output or displayed on different platforms like Website, iPad, Kindle, Samsung tablets, Sony reader etc. This implies taking care of different specifications – like design, color, technicality/functionality, text structure, layout, features – not to forget the client specific requirements. While a print book might be done & wrapped up once and for all, an eBook may keep evolving according to needs and updates. The digital media content is supposed to be updated at all points of time and must include latest happenings in and around the topic. In this respect eBooks are very different and challenging from the printed ones. I will explain this with a few examples. In 2012, there was a certain book about London which has been in print for around two years (also its eBook) – now, at the time of London Olympics we modified its content in the eBook to provide details about the sporting events – their venue, a day-by-day guide, places to stay etc – all personalized for somebody visiting only for duration of the event. Also, it is much easier to incorporate any revisions in an eBook as compared to print ones – let’s say add a phone no. here or an address there – it will be a costly and time consuming affair to send a whole book for reprint while it’s just a matter of days when a rectified/revised eBook can be re-launched. Not just additions, over period of time, some of the content loses the relevance. The text can be removed/replaced accordingly. Also, to make it cost effective – chapters can be pulled out and customized from one country guide to a city/state guide. For instance a travel guide to India in digital format might cost about 400 – 500 Rs and even more in print – however in the digital format we’ll have freedom to pull out one chapter, say Delhi and an make eBook out of it on the go (which will not cost more than 50Rs). There are many such examples where the freedom to play around with text and its design gives us the extra edge over print books – and consequently some enviable licensing deals with various segments where content is the key product. DMD is a truly evolving one. PN: Tell us more about your initiation into publishing and how you came to be associated with digital publishing. SJ: The foundation was laid when I chose to pursue MA in English & Communication Studies from GGSIPU (MAECS) over the traditional MA English – which is a literature heavy course. MAECS gave us a healthy mix of Literature + Language/Writing + Communication + Media studies + ICT and others. I did an internship at Macmillan India during the summer vacation of my final year; and this was the launch pad to my career under the able-guidance of Ms. Deepa Nair. Once I completed my course and started looking for a full time job, I considered options from a few well known companies in conventional editorial role; but after much contemplation I selected my current position as an editor at Digital Media Dept. at DK. The biggest reason was, obviously, that the digital is the future and also DK is one of the world’s best reference guides publisher. The books are charming, captivating, and awe-inspiring in one look, be it the design, the content, or the quality – there is no match to a DK guide. Another reason (and a personal one) for choosing DK was that I had already worked on school books at Macmillan and wished to experiment with reference and travel guides which are of great interest to me. PN: You firmly believe in ‘All things digital’ being the future, not just for publishing but also for eLearning on the whole. What has inspired you to believe so? SJ: Yes, I have an unshakable belief in everything going digital in the present and near future. The books are evolving into eBooks; traditional teaching/training methods are being replaced by the digital or electronically enabled classrooms; online banking is spreading roots in every nook and corner of the world making cash transactions obsolete; and online shopping is now the customer’s first choice. In fact I find it impossible to imagine a single day where I’ve not used the electronic medium in one or other situation. So, in such a scenario it will be somewhat naive to doubt that digital books and eLearning hold the future; especially in a vast country like India. E- Learning is not only cost effective, it is far more engaging and its reach is unfathomable. For instance – it might not be possible for qualified teachers to reach each and every village, but if a session can be broadcast (with some initial investment), quality education will be easy accessible to every child. Same is the case for distance education or satellite classes. Even in MNCs these days ILT and WBTs are used to train staff on new software and techniques instead of arranging for time consuming and expensive training sessions. Also, with the advent of digital media, there is a greater sense of freedom in terms of timings. Be it working flexibly, or taking courses at your preferred time or just utilizing your spare time, digital on a whole has made every second count. Today, the penetration of eBooks in India is a fraction as compared to the rest of the world, and thus it holds a promising future, especially with the boom in e-Commerce and PDAs business. Introduction of a special eBook section on Flipkart, launch of Amazon India are the opportunities Indian consumer will explore and signs that it will steadily be more receptive to eBooks. 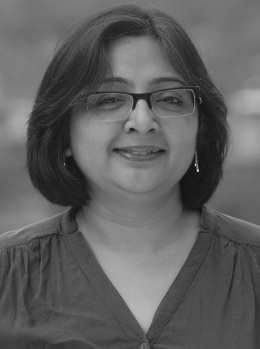 PN: As the Commissioning Editor at Karadi Tales Company, you focus on picture books, audio books, and young adult fiction. Could you tell us about the challenges you face working in this field? MS: Commissioning books for children comes with a unique set of challenges, the biggest one being that the purchasing power for children’s books does not lie with the consumer of the book. This manifests itself in several ways. For one thing, we’re competing with the education industry at every step of the way. The children’s book industry in India focuses primarily on education, learning, and early development. The major demand in India, among children’s books, is for books that are connected to the syllabus somehow. The parent’s knowledge greed, the school’s rigorous academic demands, and an increasingly competitive system of assessment have contributed to this. The content of these textbooks, though, has remained standardised, and the child does not always get exposed to content that is relevant, timely or contextually identifiable. In fact, until the nineties, reading for pleasure was a habit to be discouraged at schools. All this is changing very slowly, but the fact remains that book purchasing decisions in the very young child’s life are made primarily by parents, teachers, and librarians, which means that these are the people who need to be convinced that a silly, quirky, hilarious story which offers no obvious moral or learning, but is still fun to read, is good value for money. 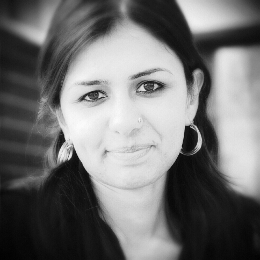 PN: You have represented Karadi Tales at the international trade fairs at New York, Frankfurt, London, Singapore, Bologna, Kolkata, and New Delhi, and in 2012 you were chosen for the prestigious Frankfurt Fellowship Programme for International Publishers. In 2013, you were invited by the Italian Trade Commission to represent India at the Golden Jubilee Celebrations of the Bologna Children’s Book Fair. What was it like going to so many different places representing India? What experiences did you bring home? MS: My first trip to Frankfurt really opened my eyes to the world out there and the sort of content that is available in other parts of the world. While we’re invariably exposed to great literature from England and the USA, what really fascinated me was the plethora of books – unusual, creative, brilliant – from the non-English-speaking world. Since then, I have been to the book fairs at New York, London, Singapore, and Bologna, and I’ve of course been to the book fairs in India. It’s been fantastic in terms of exposure and learning. Last year, for example, I had the great privilege of being on the Frankfurt Fellowship – a 15-day programme of meeting publishers from all over the world, exchanging ideas, discussing business practices, and talking about books. I learned so much from the people I met; it was the sort of experience that I’m certain will shape my future decisions within the industry. PN: You are focused on bringing the very best of fiction from India to an international audience, as well as introducing Indian audiences to books of the world. How do you plan to achieve this? MS: Open-minded exchange is really the only way to do this. Academically speaking, children’s literature can broadly be divided into two categories – the selective tradition, which represents the dominant worldview, and the oppositional tradition, which provides a counter-hegemonic perspective of the world. The dominant worldview tends to be the worldview of the perceived majority. For a child to be exposed only to selective writing – which, in most cases around the world, happens to be Caucasian, Anglo-Saxon writing – can be a very dangerous thing indeed. The oppositional tradition – usually postcolonial writing about coloured characters – is incredibly important for both the perceived majority and the several minorities. Basically, what this means is this: a book about Indian culture is as important for a non-Indian child as it is for an Indian child. In the former case, it spreads awareness about the existence of other cultures, and in the latter case it contributes to a sense of nationality, ethnicity and self. Karadi Tales has been active at international book fairs since 2004, although the early forays were fairly naive. In the last 5 years alone, though, over 20 rights have been sold to markets ranging from Europe and the Americas to the Far East. There certainly seems to be potential for picture books from India in the world, especially considering the importance given to multicultural literature within international education. PN: You are known as an influential person in the field of Odia Literature. What inspired you to start writing in Odia? PT: I felt that I am more comfortable in expressing in my mother tongue. The books in Odia that I have read in my childhood helped a lot in shaping my inclination to write in Odia. PN: Your stories and poems have been published in leading literary journals of India like Indian Literature, The Little Magazine, News India, Samakalin Bhartiya Sahitya, Naya Gyanoday, Hans, Bagarth, Jansata, Vipula (Enadu), Bhasha Bondhon etc. How did you feel when you saw that your poems and stories were being published in such renowned journals? PT:It felt nice. The stories and poems were well received and I started getting feedbacks.It was in fact, very encouraging. PN: ‘Door ke Pahad’ in Hindi and ‘Intimate Pretence‘ in English, are said to have been the books that brought you much acclaim. Could you tell us what it was about these books that was different from your earlier works? PT: Both the books in Hindi and English, contained selected stories from my books.Those were chosen carefully and translated by expert hands.Through these books my stories travelled to writers and readers of other languages.The books were reviewed nicely and have reached many. PN: You have received awards like the Odisha Sahitya Academy Award, Bhartiya Bhasha Parishad Award (Birla Foundation, Kolkata), Odisha Book Fair Award , Sea Shore Srujan Award, etc. How does it feel to be the winner of such prestigious awards and what do they mean to you? PT: Awards are not catalysts for a writer to be creative. But it is certainly inspiring when your work gets recognitions. PN: Most of your works were originally written in Odia. Was it ever a concern that these works would only reach a small section of the audience? PT: Initially it was never a concern. But as I communicated with the writers of different languages, I felt an urge to read their works and felt that it is necessary to communicate through our writings too. This is how one comes to comprehend the creativity of the fellow writers. PN: You belive that translation is the only medium through which writings of one language can reach others, thus bringing out knowledge of rich cultures of different lands to other’s notice. In a country like India the two languages spoken widely are Hindi and English. In which language do you think writings should be translated? PT: The translations can be both in Hindi and English as both the languages are acceptable in India. PN: You have been published in Etchings (Australia), Chandrabhaga (India), Muse India (India), The Other Voices International Project (online), Geometer (UK online), XCP Streetnotes (online), etc. Also your poetry has appeared in Tonight, An Anthology of World Love Poetry, South Africa. How does it feel to have your works published in renowned magazines and websites? UG: Whether consciously or subconsciously, at a certain level, every author writes with an intended audience in mind. Being published widely only brings her closer to acquiring that intended audience. In my case, I write for an empathetic audience that would take the pains to learn and understand my region – the Northeast – better. I have been lucky that I have found such an audience through the magazines and websites that have published my work. PN: You believe that Northeast India is fast acquiring a central position in many new discourses in mainland India, but mostly for the wrong reasons. With Northeast Review, and also as a contributing editor of Muse India, you have worked to provide a balanced and objective perspective for the worldwide audience abut this region to help it emerge out of the misconceptions it remains veiled in. Could you tell us more about this? UG: Till about 5-6 years ago, the Northeast was exoticised for its ethnic diversity and natural beauty on the one hand, and its remoteness (both physically and psychologically) on the other. Then, there was a slow but sure reversal towards exoticising it as the land of ethnic conflicts and sensationalising its various insurgencies and internal turmoils (I have written about this in more details in my book Conflict and Reconciliation: The Politics of Ethnicity in Assam published by Routledge). What has been consistently lacking, however, is a desire to know the region as it is – with all its inherent contradictions and conflicts, beauties and bounties. As I see it, there is a need to ‘humanise’ the region, and that has been my effort, whether in my writing or in the various editorial and publishing ventures that I have undertaken so far. PN: Could you tell us more about your books: No Ghosts in This City and Other Stories (Zubaan) and an anthology of folk-tales retold, Where We Come From, Where We Go: Tales from the Seven Sisters (Westland). UG: No Ghosts in This City and Other Stories (Zubaan) is my first collection of short stories. It is expected to be available on the shelves shortly. The stories are set in Assam and they are all about the everyday lives of people in the state. It is only incidental that these stories are all set in a conflict zone where the quotidian is often intertwined with the political reality of violence and impunity. Where We Come From, Where We Go: Tales from the Seven Sisters (Westland) is a collection of folk tales from the seven states of the Northeast. I have put them together in such a way that they reflect the beliefs of the various communities of the Northeast regarding the beginning and end of life, the earth and human life and its various accoutrements. It is expected to be out early next year. For those of us that have freshly emerged from the stimulating Publishing Next conference in Goa on 14–15 September, it will be a while before we can completely absorb all that was discussed over the intense two days. Venkatesh Krishnamoorthy’s reports from the conference have presented many of the highlights, so readers would be aware of the event by now. That the publishing industry in India is undergoing not merely a transformation, but a tectonic shift, would be obvious by now. While news of new publishing software technologies emerging in the West makes us aspire to catch up and “redefine” everything, any publisher who’s been in the business long enough knows that in India we operate in three centuries simultaneously. Hence, there is no single way, no one formula, no one answer: pretty much mirroring the diversity that our nation is known for. The sooner we accept this, our task to provide viable models and solutions would become less overwhelming. We could truly innovate, instead of imitating. Three panel discussions at the conference were based on areas where a bulk of India’s publishing (and its ‘readers’) is situated. Book publishing in India is often viewed from two different prisms: the more glamorized trade segment of literary fiction and non-fiction, and the academic segment comprising of books for schools and higher education. The share of academic publishing in the industry pie is far bigger than other segments, a fact not often acknowledged. 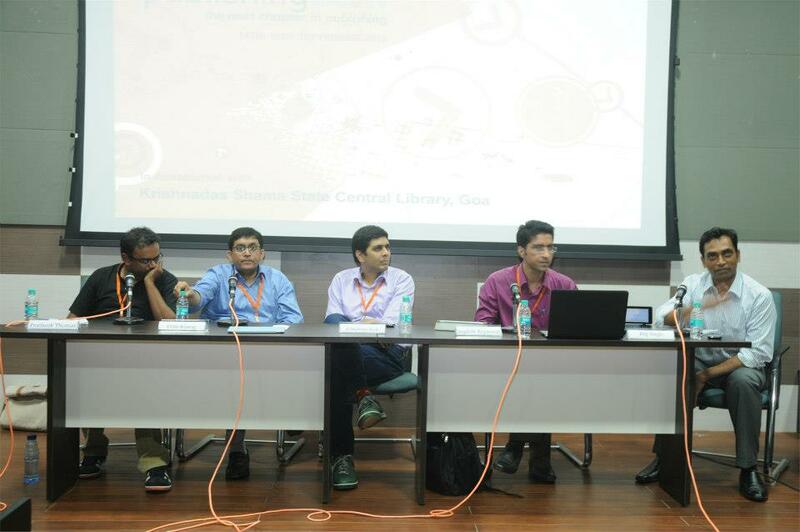 The panelists discussing academic publishing in India, mostly representing the big academic (multinational!) 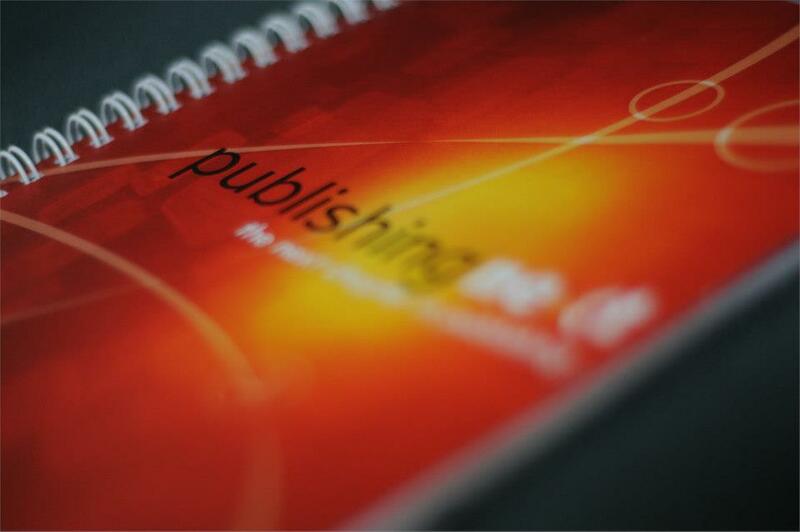 publishers, outlined their company’s publishing programme, highlighting their early adaption to digital and online publishing technologies. In the case of Springer, a major STM (Scientific, Technical and Medical) publisher of books and research journals, the books are DRM free. Their motto is “e-first” said Sanjiv Goswami, MD of Springer India. Pearson, which defines itself as an “education” and not a “publishing” company, has observed that this business is moving. The shift is from individualistic decisions of purchase to institutional purchase trends, according to K. Srinivas, Publisher of Pearson Education in India. Vivek Mehra, MD and CEO of SAGE India pointed out: India offers the bulk of services for publishers worldwide, most of it in the STM segment. In the last 15 years, the outsourcing of publishing services to India has generated 5 times more employment than direct publishing activities, he said. 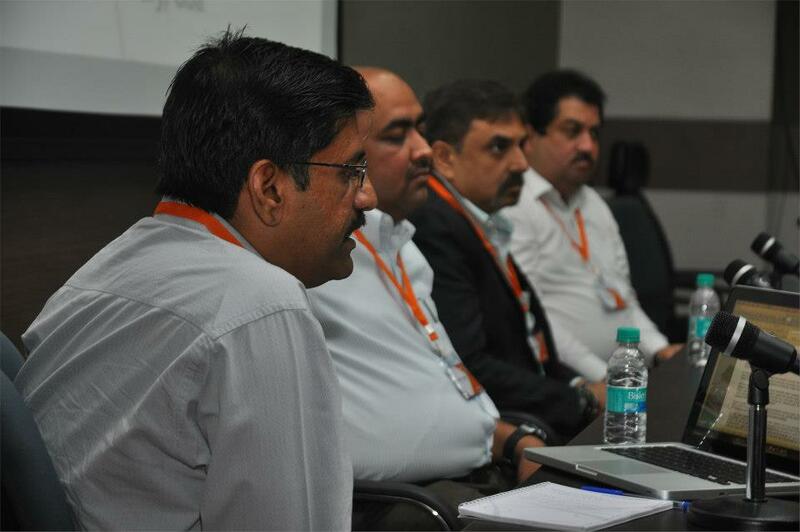 Panelist Manoj Karthikeyan of Veda Publishing Consultancy addressed an unspoken topic among publishing forums: the problems and perceptions of “Indian content”. Content generated in India carries the tag “of not good quality” because many Indian publishers cut corners and don’t check for plagiarized material. He concluded by reminding us that we needed to set our house in order before we complained that Indian content has not got its due. Although clubbed as a uniform category, Indian-language publishing is actually many different industries, each with its own character, and its own unique set of problems and challenges. This was apparent in the presentations made by panelists that covered these language industries—Konkani (Goa’s state language), Marathi, Bangla, Tamil and Hindi. 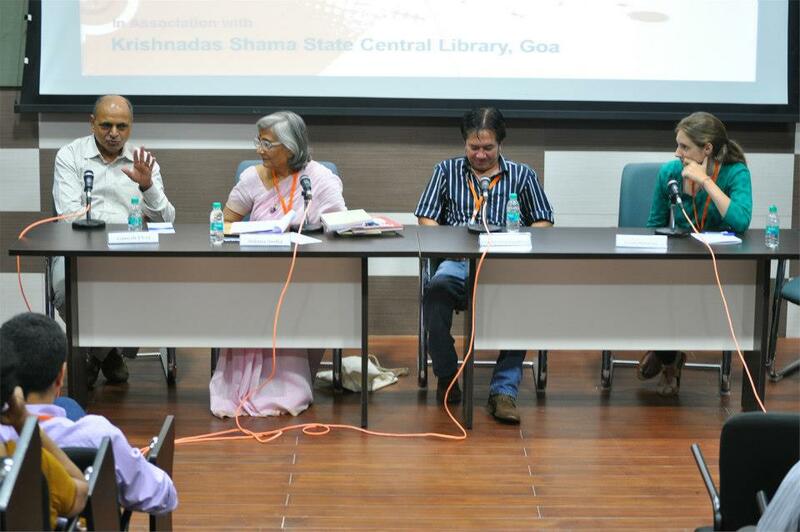 Writers in Goa are not very demanding of royalties, said eminent Konkani writer Damodar Mauzo. They are more concerned that Konkani language and culture should receive due recognition. 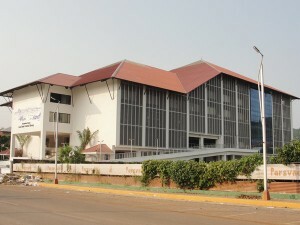 But book sales are hindered by the fact that marketing efforts and production quality are lacking in Goa. Konkani, as a language that is spoken in 5 states and written in 5 scripts—Devnagari (official), Romi (Roman), Kannada, Malayalam and Perso-Arabic—lends itself to audio books, since they would overcome the hurdle of multiple scripts, Mauzo added. Based in Bhopal, Ekalavya is known for pioneering efforts in education at the grassroots level. 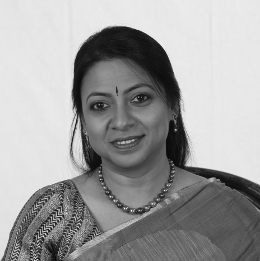 Deepali Shukla presented the publication programme of the organization, which publishes books in Hindi and other languages. She touched upon the unfair trade practices in book procurement (this topic is a Pandora’s box if and when opened) at state-government level, which is the main agency for dissemination of children’s books in public schools. A rich literary tradition drives the Bangla publishing industry to this day (“Almost every Bengali writes poetry”!). There are about 600 publishers and almost the same number of booksellers in Paschimbanga (West Bengal), said Subhadra De, from Chhatim Books. Even small publishers produce very good books. The Bangla book market is price sensitive. The publishers have to deal with the problem of piracy of their books in Bangladesh. Once known for its high density of libraries, Paschimbanga is now witnessing private libraries shut down, but its government libraries are still strong. Books translated into Marathi from other languages are getting good response from readers, said Vikas Paranjape, Partner at Jyotsna Prakashan. Marathi authors expect royalty and even litigate if denied their due (in stark contrast to the writers of neighbouring Goa!). Piracy has emerged as a major issue in Marathi publishing. The Marathi book market is not price sensitive, especially for fiction. The good news is that the readership base is widening, with more readers reading books in Marathi. The NRI market is yet untapped, he added. Interestingly, poetry, a genre that many publishers in rest of India find difficult to sell, does well in Maharashtra, just as it does in Paschimbanga, and perhaps a handful of other language industries. About 8000 to 9000 libraries exist across Maharashtra, but not all are well equipped. Paranjape spoke of an interesting venture—eMarathi.com—an e-book platform formed by a consortium of 6 major Marathi publishers, who have invested in it and through which they will sell e-books soon. One common roadblock that all publishers face is the absence of a distribution system for their books. The publishers have to manage their own distribution. More and more, Indian-language publishers and book-buyers are depending on online booksellers like Flipkart, which has given a significant boost to the sale of Indian-language books. “Everyone, from publisher to reader, is happy with Flipkart’s service,” said Paranjape. The closing panel discussion of the conference was on the interesting theme of oral traditions, another topic almost never discussed by publishers at any industry forum. Preceding this panel discussion was an insightful talk by Prof. Ganesh Devy, a world-renowned scholar, linguist and activist for preservation of languages. He said that many languages around the world have come to a stage of great crisis. While only some Indian languages are printed (and therefore, published), several hundreds remain in the oral realm, but which are not recognized as “official language” by the administration simply because they are not printed. Prof. Devy urged publishers to invest in languages because “books are memory manifest”. His People’s Linguistic Survey of India has set out to document the living languages in India, and his institute based in Vadodara—Bhasha Research and Publishing Centre—has worked with 65 adivasi communities to develop scripts for their languages. The panel discussion, moderated by Venetia Kotamraju, founder of Rasãla Books, began with her asking if the recording of oral traditions is always a good thing. The memorizing (of community knowledge) gets affected, and often one version becomes “authentic”. The neglect of India’s vast treasury of folk tales is disturbing to Nilima Sinha, author and President of AWIC/India IBBY, who rued that today’s heroes are not from our epics anymore. Instead, children are becoming obsessed with characters like Harry Potter. 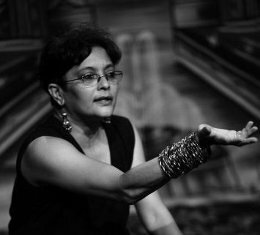 She demonstrated how oral storytelling communicates a story more richly than reading the same in print, by narrating a lyrical story in Bhojpuri. Dr Desmond Kharmawphlang, a noted folklorist and poet based in Shillong who has done extensive work in documenting folklore in north-east India, shared his insights. He spoke of how each state in the region has at least 20 languages (more in some), which are weakened by the imposition of an “official language”, which is usually the language of the dominant tribe or community in the state. This panel introduced another side to the publishers’ community, with refreshing viewpoints and food for thought. The three panels reported above engaged the participants in the Q&A sessions, and revealed that these areas need more discussion. One hopes that succeeding industry gatherings will take these issues further, because the more we discuss them, the better the solutions that will emerge. 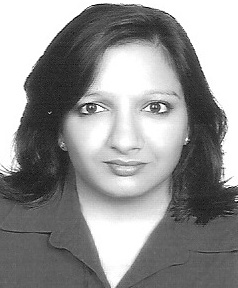 Vinutha Mallya is an independent publishing consultant, editor and journalist. She is an advisor to the Publishing Next conference. Follow her on Twitter @VinuthaMallya. a. Publishers seek solutions that are unique to their needs. This holds an important lesson for companies that provide e-publishing services because very rarely does one size fit all. Packaged services that are attractively marketed using colourful brochures by people who shy away from answering the tough questions do not cut it with publishers, especially with those that understand a little about e-book development and need to know it can make their books look more attractive. b. Publishers need to educate themselves on the details of e-book development. This actually follows from the earlier point because many companies that provide e-book development services, unfortunately, gloss over the details and it becomes incumbent upon the publishers to ask the tough questions. Questions like: which formats are available? Where can they be viewed? Which are the preferred formats? What will my illustrations and fonts look like in the e-version? How closely will the layout match that of the printed version? Where can they be sold? How do I store and protect them? c. Communication needs to be in a language that publishers understand. This is for the techies. It is important that the understand the terminology of book making and speak to publishers in a language that they (the publishers) are comfortable with. Very often, e-book development companies fill their brochures and other forms of communication with technical terms that obfuscate the details and, more often than not, put off the publisher. Terms like HTML5, SGML and XML mean little to the publisher. Instead it might help e-book developers if they learnt about widows, orphans and flyleaf pages. Total disregard for the book and its content and a pitch just based on technical capabilities is sure to lose an e-book developer its clients. 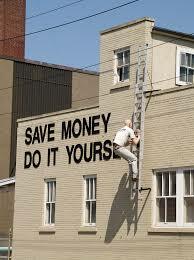 d. The pricing of services needs to be revisited. For publishers, this is a new game and, understandably, they are shy about wading into these waters. Given that the whole world is breathing down their neck and that they are told to develop e-books or perish, they have to make sense of the investments because the returns are yet unheard of. Companies that develop e-books must be aware of this and price their services rationally. Maybe a model that allows publishers a free first book so they can see what are the benefits? Or a discounted rate on the first book? Or a payment model that is based on commissions off sales? Companies need to be imaginative here. e. Not all technologies are for all books. For example, fiction that is purely text have no need for development as enhanced books or apps. Technology companies should understand a publisher’s list and pitch their products accordingly. It is necessary for them to explain to the publishers the limitations of current technologies so that the expectations of publishers remain realistic. In the case of books in Indian languages, the limitations of reproducing certain fonts must be clarified before production of e-books is undertaken. f. E-book development companies need to stand by what they deliver. Here it might be better for them to under-promise and over-deliver. This follows from the earlier point. Many companies have promised publishers the moon and have fallen far short of expectations. In many cases, unfortunately, this has resulted in publishers swearing off e-books altogether. g. There is no platform yet, that is purely Indian, that caters to the sale of books. This becomes important when dealing with publishers of books in Indian languages. While Amazon has entered the Indian market, neither its reader, the Kindle, nor its e-commerce platform support Indian language books. It is therefore important to make publishers aware of this lack of a platform that might render their investments useless unless, of course, the e-books can be sold from their own website. Suffice to say that much ground needs to be covered before a robust and sustainable environment around the development and sale of e-books is implemented. The publisher and developer communities need to work together towards the conception of such an environment and not insist on working in isolation.